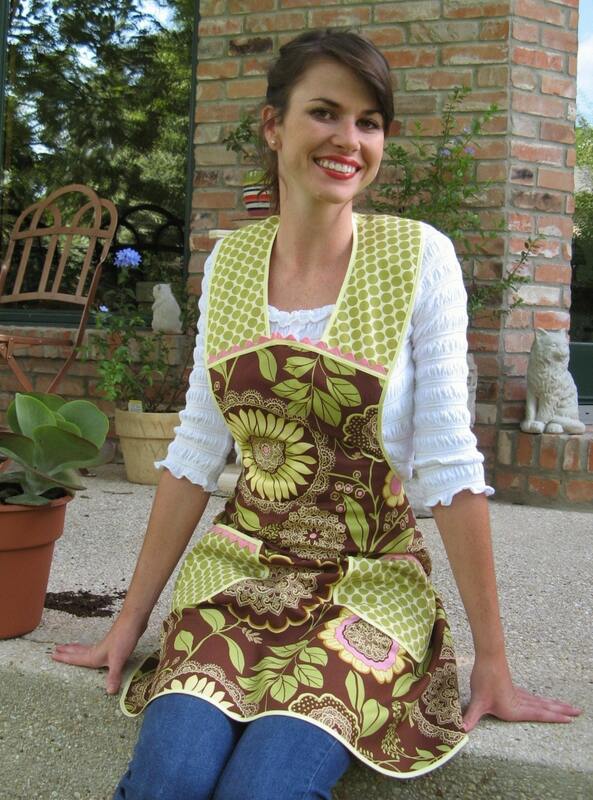 "CELLOPHANE FLOWERS OF YELLOW AND GREEN..... "
AMY BUTLER'S LACEWORK AND FULL MOON DOTS TAKE THIS VINTAGE APRON TO A NEW LEVEL. Pattern placement will vary. Currently only available in this medium to large size. Please see my profile for additional information on sizing. As with all 100 percent cottons, machine wash cool with like colors, tumble dry low or save energy and line dry!